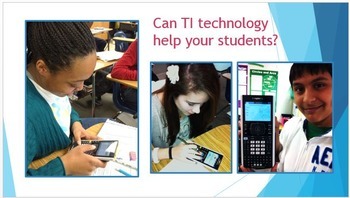 So why teach math w/o calculators? Full title: Would you teach writing without word processing? So why are you teaching math without calculators? 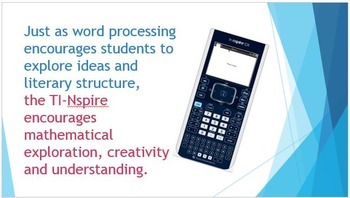 This 34-slide PowerPoint presentation can be used to convince administrators, fellow teachers and parents that using calculators such as the TI-Nspire will greatly benefit students understanding of math. 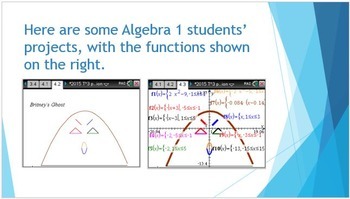 Includes photos of real 8th graders using TI-Nspires in Algebra 1 classes. 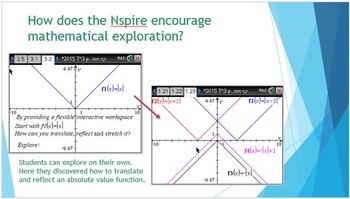 If you already have TI-NSpire Teacher Software, a .tns version (without all the photos) is also included. Please read the "notes" in the PPT for ideas about what to discuss as you present!